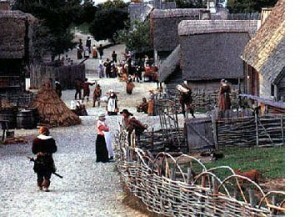 By the time Lenox was founded, Massachusetts had become a secular British colony. But it is worth reviewing the evolution from theocracy to colony since many elements of the distinctly religious orientation of early Massachusetts government lingered until 1824 religious tolerance acts and the 1832 Constitution. Starting with the 1620 Plymouth covenant, religion colored Massachusetts law. One of the reasons New England towns were small was so families could walk to required church services. As was the case in Lenox, the meeting house was part of initial town development and was used for both religious and civic meetings. As of 1647, towns were also required to teach reading and arithmetic (so all could read the Bible) Local revenues supported the one (Puritan/Congregational) Church and Church membership was a requirement for voting. The Puritans not only excluded the Church of England but persecuted Quakers, Anabaptists – and Catholics – fagetetaboutit. and the English attitude was pretty much good riddance. The colonists fought the Pequot War in the 1630’s with no help, so, it must have been a shock when the mother country suddenly began making itself felt economically with the Navigation Acts of the 1660’s which restricted trade to England and English vessels. King Phillip’s War (another Native American War in the 1670’s) was also fought with little help from England and it devastated Massachusetts. In a pattern that would be repeated later, England was looking for revenue at just the time when Boston merchants had the least to give. The colonists refused to enforce these new laws and the Massachusetts Charter was revoked in 1684. Neither Charles II or his brother James II had any great love for the Puritans who had beheaded their father. So it’s not surprising that new charters kept the hammer down economically but also began the walk back from government sanctioned Puritan religious intolerance. With the New Englander’s refusal to enforce the Navigation Acts, James moved on to a new charter that further restricted local government. 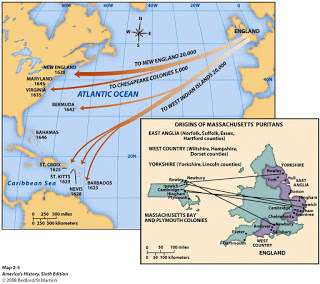 The 1686 Dominion of New England merged the British territories from Delaware Bay to Penobscot Bay under a royal governor –Sir Edmund Andros who was especially hated in Massachusetts. He enforced the unpopular Navigation Acts, vacated land titles, restricted town meetings, and appropriated a Puritan meeting house for Church of England services. 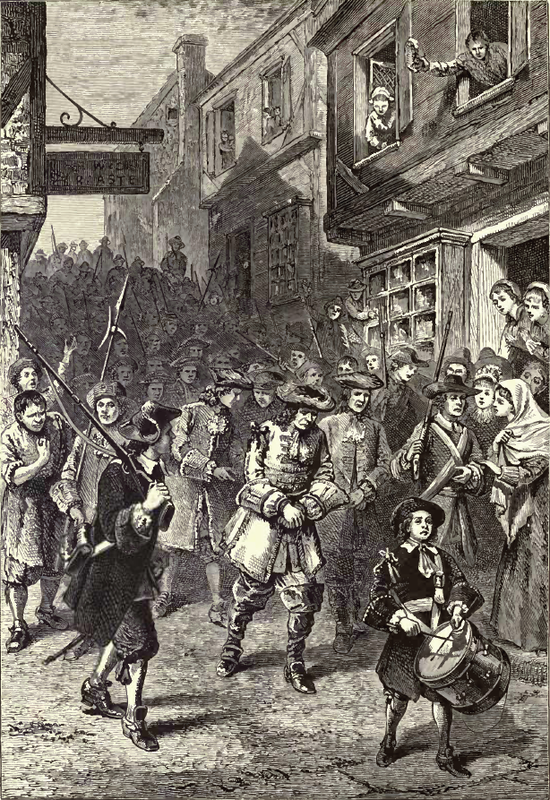 A Boston revolt deposed Andros in 1689 and the Dominion was voided. Increase Mather (son of Richard, father of Cotton) and others traveled to London to petition the new rulers, William and Mary, to restore the old charter. But fearing religious rule, William refused. Instead , management was turned over to the Lords of Trade, religious tolerance was required and royal governors were appointed rather than elected. 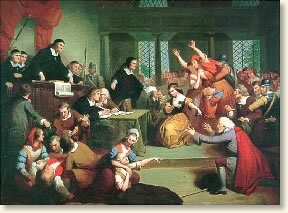 It is speculated that the end of Puritan rule truly ended with the Salem witch trials in 1692. To the Lords of Trade it looked like the worst possible outcome from a theocracy.